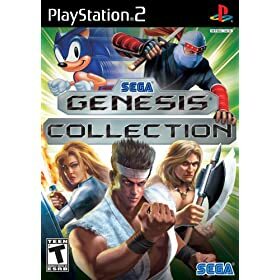 Adrienne and Billy lent us their Capcom Classics Collection Volume 2 and Sega Genesis Collection (both for PS2) and I love the way each game heading tells you if it has coop. 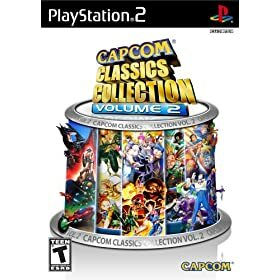 I was shocked to see that the Capcom collection actually has more coop games than not. Playing old compilations is sort of a wake up call to how far we’ve come in terms of gameplay. I can deal with old graphics and sound to some extent (sometimes I even prefer old-school 2D graphics), but many of those old games just bored me after 5 minutes. It could be that my taste has changed or maybe I’m just getting old and bitter.